We create custom-made private guided tours, photography tours and workshops for all kinds of travellers and groups in Iceland to help get you off the beaten track. Everyone is welcome. We cater for individuals or solo travellers, couples, families, groups and school groups. 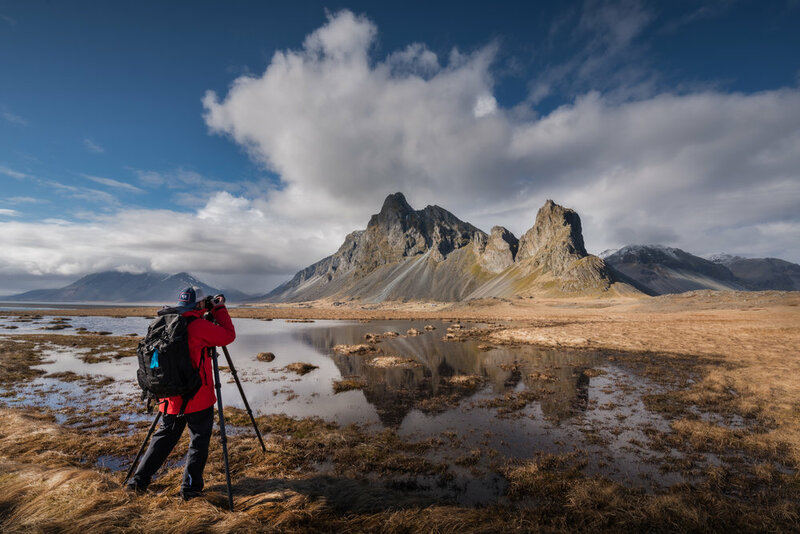 Our guided tours in Iceland are for both photographers and non-photographers, with an emphasis on respecting nature and understanding its cultural history. We operate year-round throughout the seasons. This is a highly personalised experience so get prepared to know us and for us to get to know you! We can accompany you on a single day tour departing from Reykjavík, or travel with you to various locations in Iceland if you prefer to embark on a trip around the country. Please let us know if you have already arranged your accommodation in Iceland and where you will be based. If you have not yet decided, then check out Guide to Iceland for recommendations on where to stay, restaurants and café’s for dining, as well as activities that you may be interested in. The dates that you book with us do not need to be consecutive. We are very flexible and can work with you to fit the perfect tour into your itinerary in Iceland. We work as a team, so you’ll get both of us guiding you through the fascinating landscape of Iceland, whether you would like to visit the well-known and famous locations or to immerse yourself in nature and get off the beaten track. At each location that we visit, we will engage in a conversation of its history and cultural significance. For photographers, we will provide specialised landscape photography educational tips and insights, including how to utilise your camera gear for the best results, as well as how to compose and photograph the scenes. Please let us know if you have any special or quirky requests, as we will try our best to work with you to make them a reality!